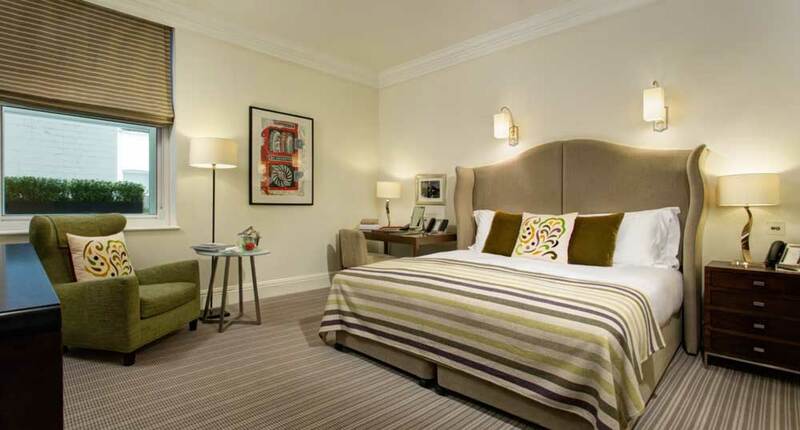 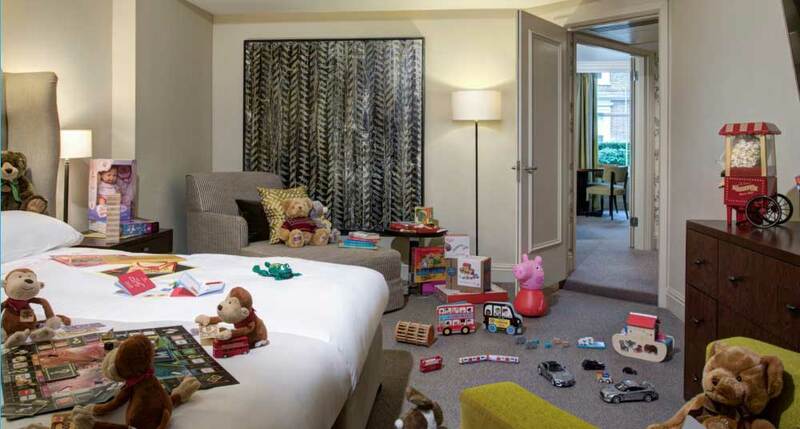 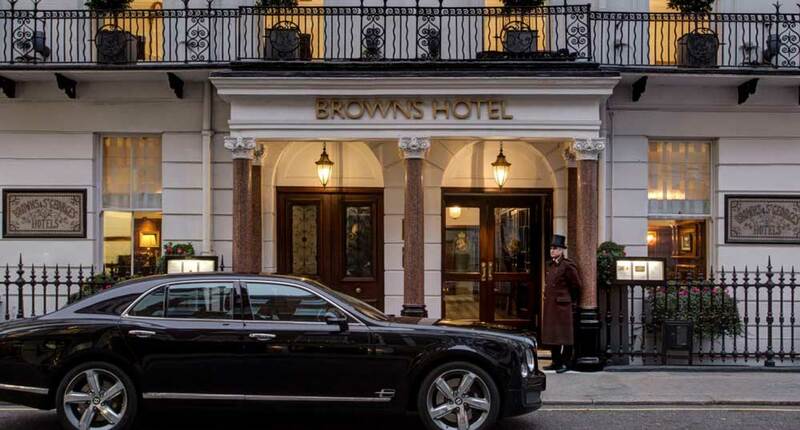 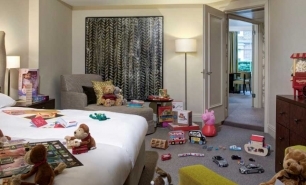 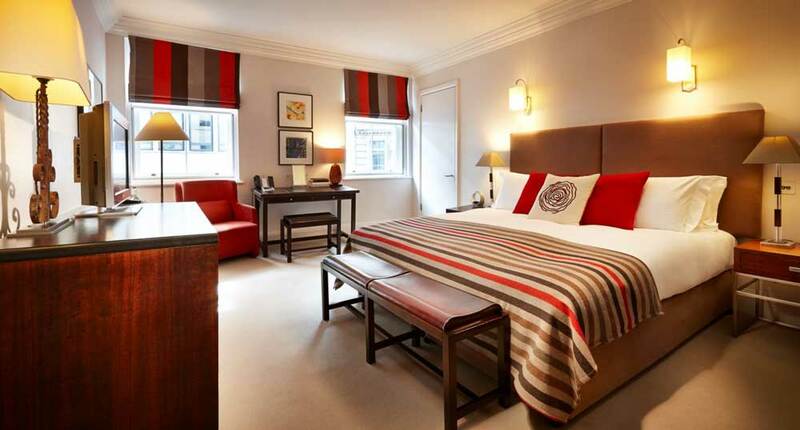 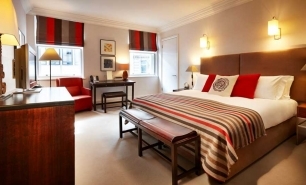 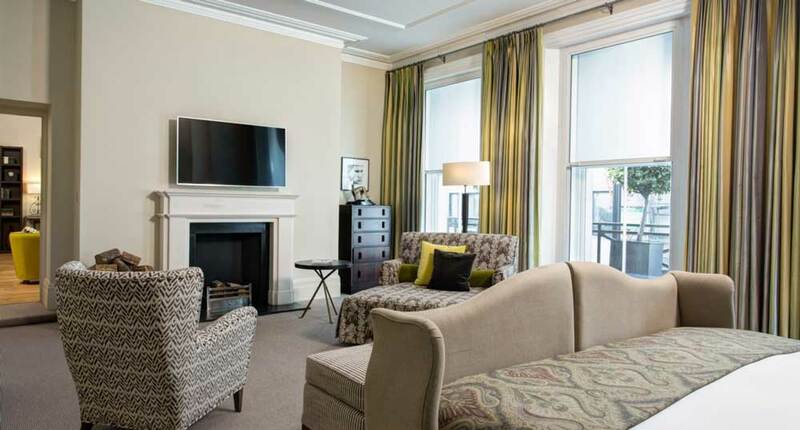 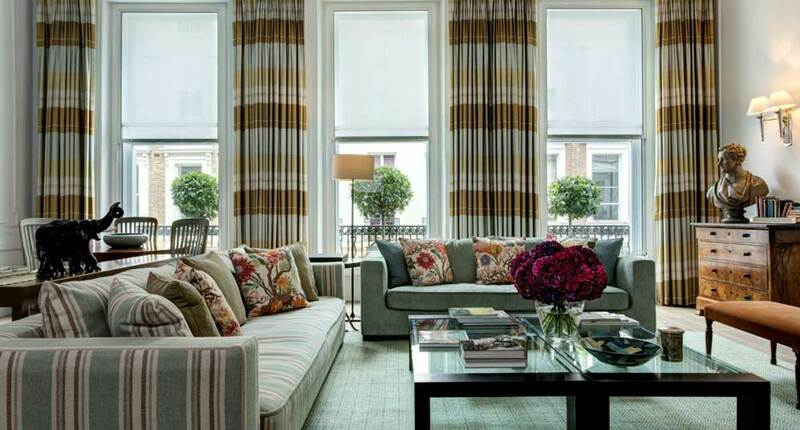 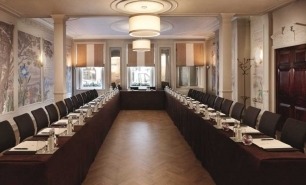 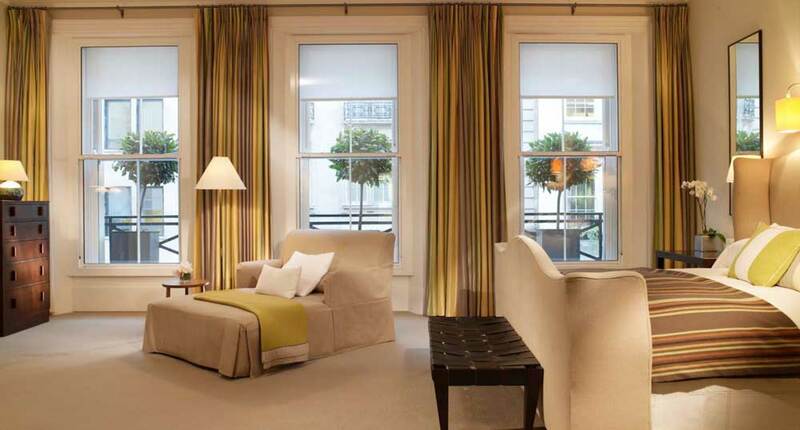 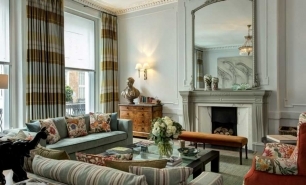 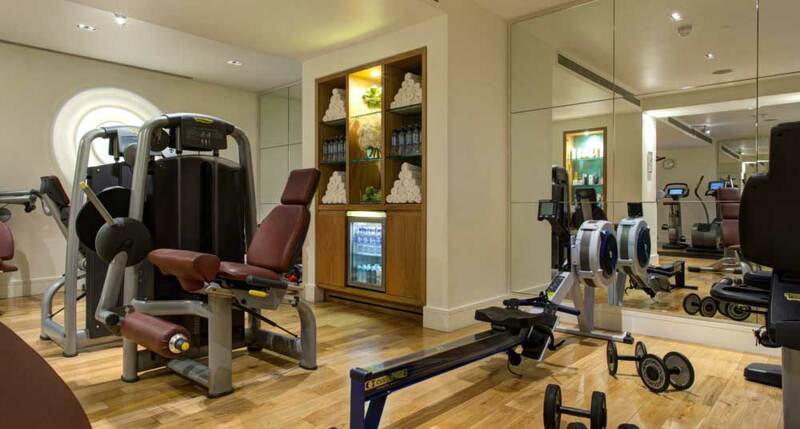 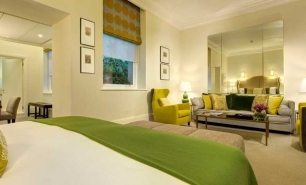 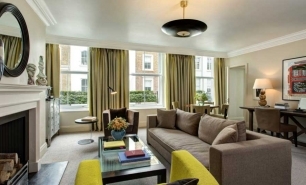 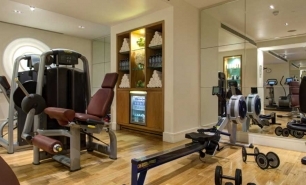 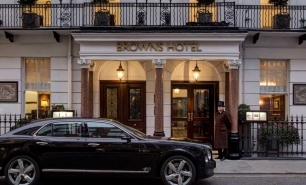 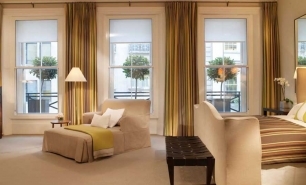 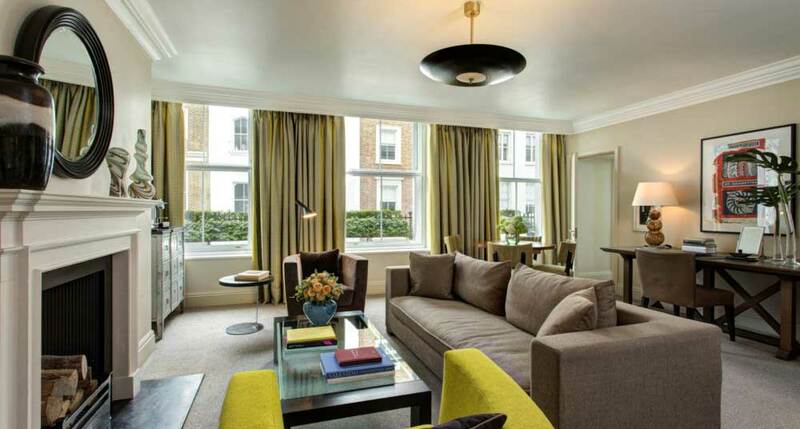 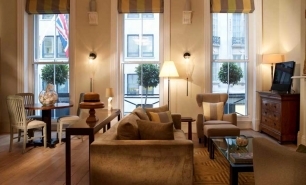 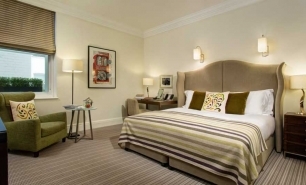 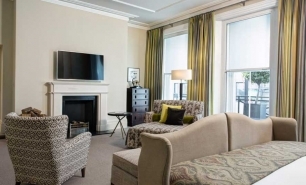 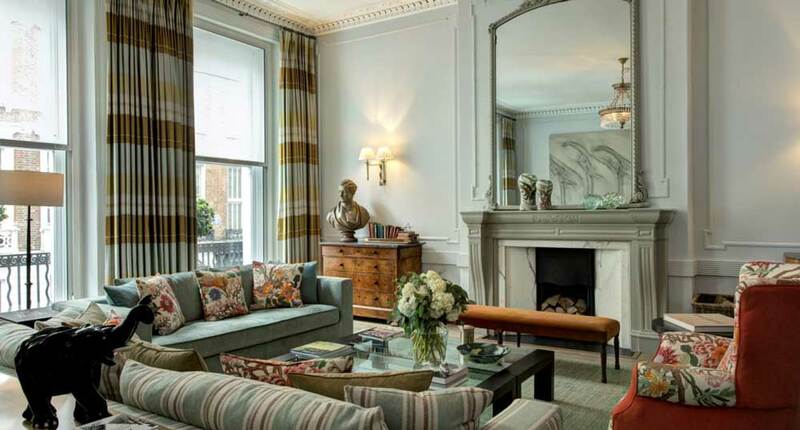 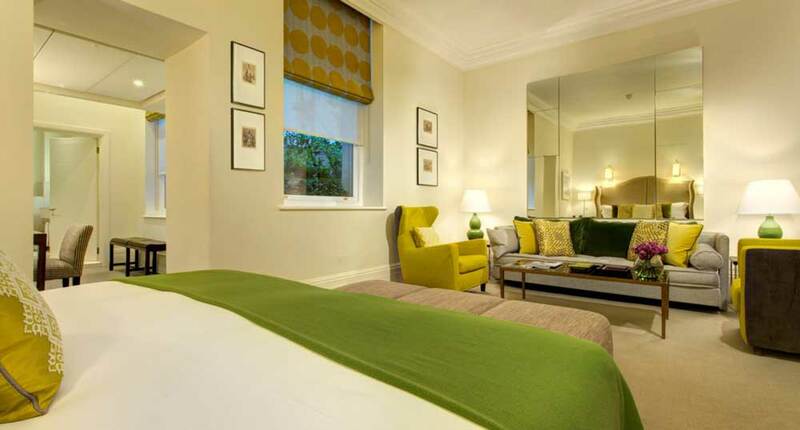 The hotel is close to a number of high-end shopping areas, including Bond Street, Savile Row and Mayfair. 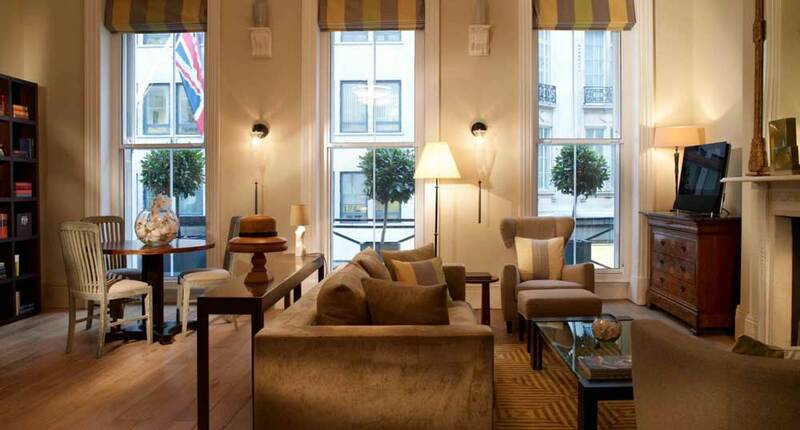 A knowledgeable concierge service is available, providing guests with advice on where to visit and what to see. 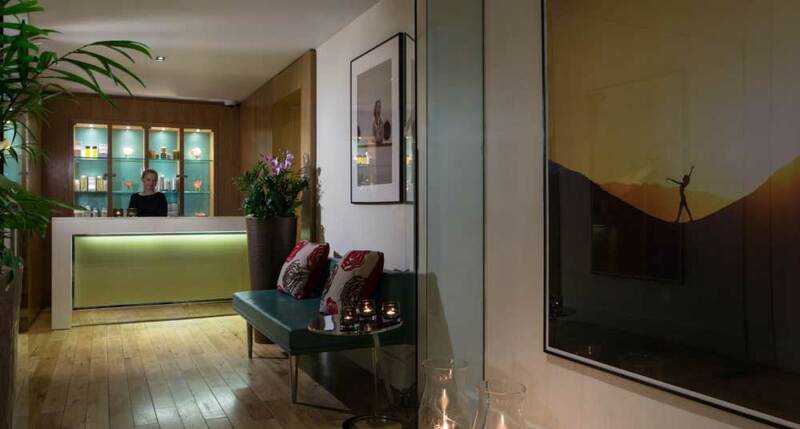 The busy party district of Soho is just around the corner, as is the relative calm of Green Park, allowing guests to find the environment that suits them without long travel times. 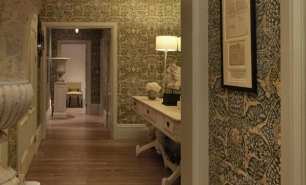 Rooms measure between 30 and 40sqm, are decorated with original British artwork and are equipped with large timber or marble bathrooms. 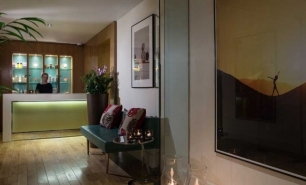 Suites start at 40sqm and feature an open-plan living room and bedroom with marble bathrooms, many of which have TVs at the foot of the bathtub. 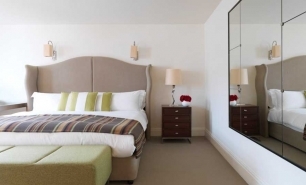 There are a number of different styles of suite available, varying in size and décor, with the largest being the Hellenic Suite, measuring between 102 and 170sqm and featuring high quality furnishings, a walk-in wardrobe and an expansive bathroom. 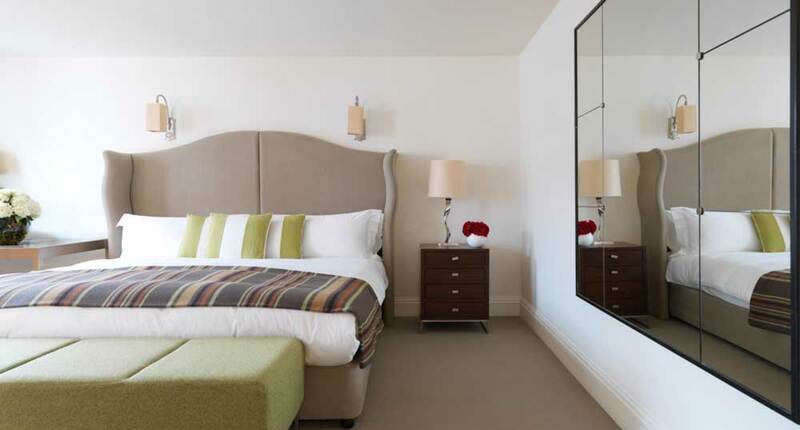 A number of complimentary services are provided to guests staying in the suites, including a welcome bottle of Ruinart Champagne, transfer to the airport, and two half-hour spa treatments. 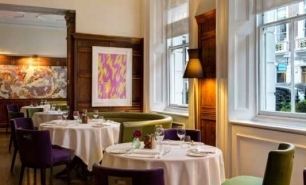 The Hix Mayfair, directed by Mark Hix, serves dishes using locally sourced ingredients and focuses on key British flavours. 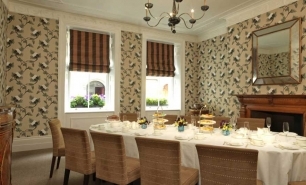 Master-classes are available, showing guests how to recreate their favourite dishes at home. 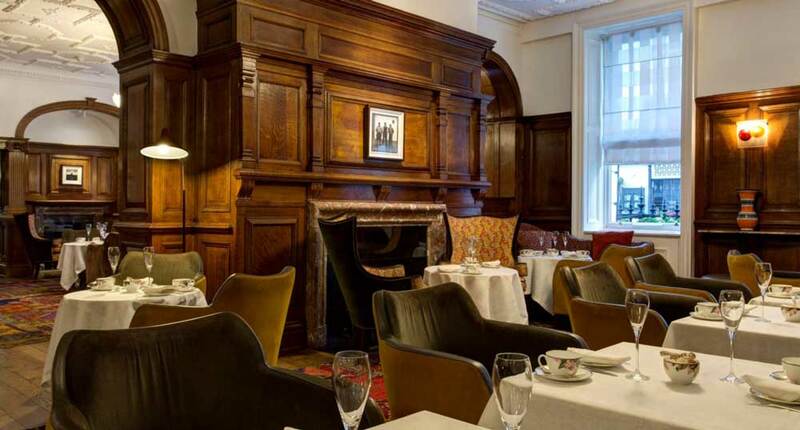 The award-winning English Tea Room serves 17 different teas, including Brown’s very own unique blend. 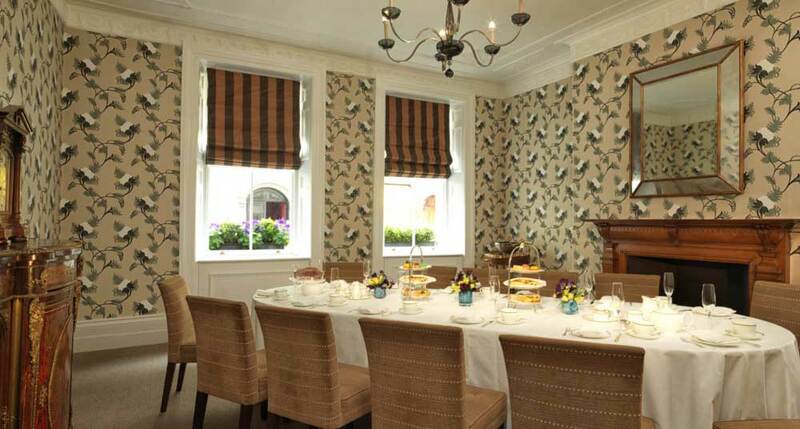 Sandwiches, scones, cakes and pastries are also served while the Head Pastry Chef hosts ‘Tea-Torials’. 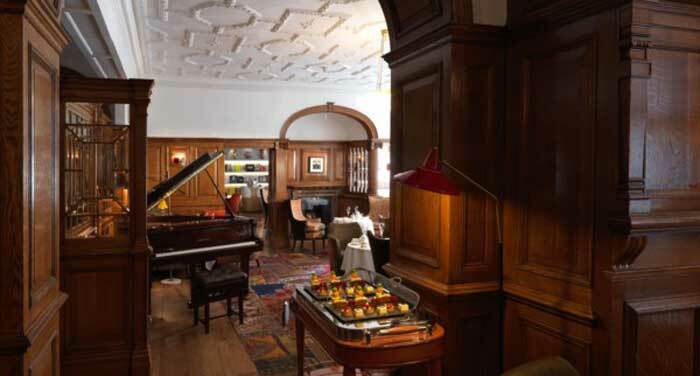 The Donovan Bar is an ideal location for relaxing and enjoying fine cocktails and the live jazz played at the venue. 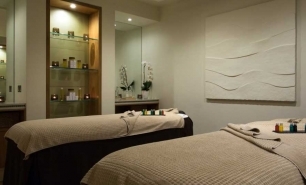 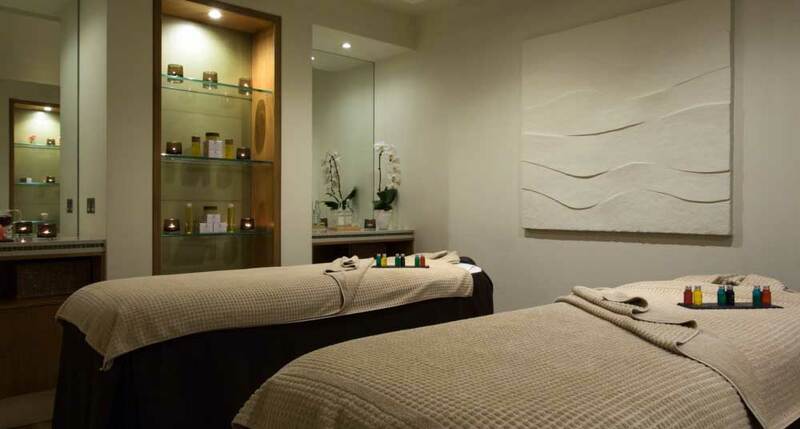 The Spa offers a number of unique services, including massages, beauty treatments, relaxation/sleep packages, anti-jet lag treatments, special seasonal packages, and a special children’s service. 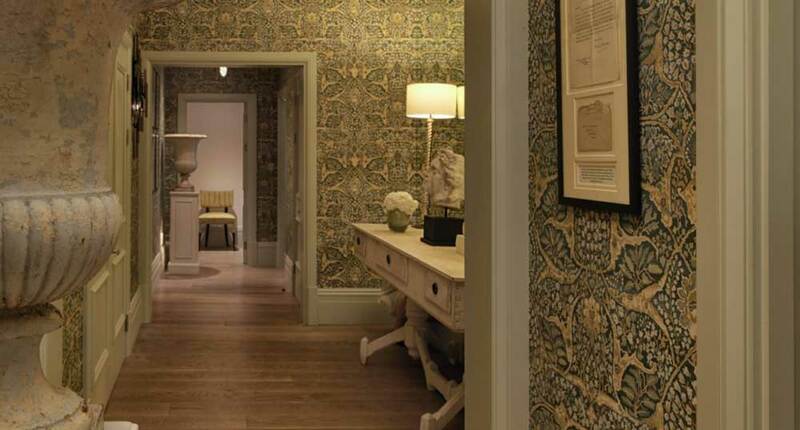 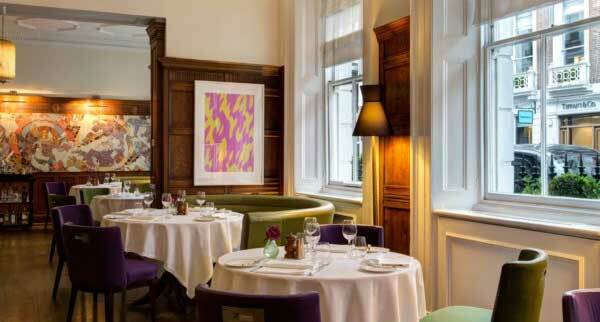 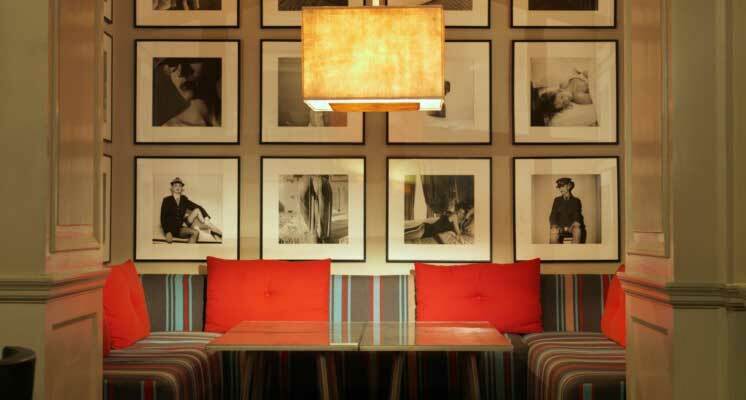 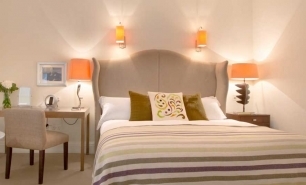 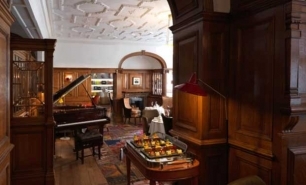 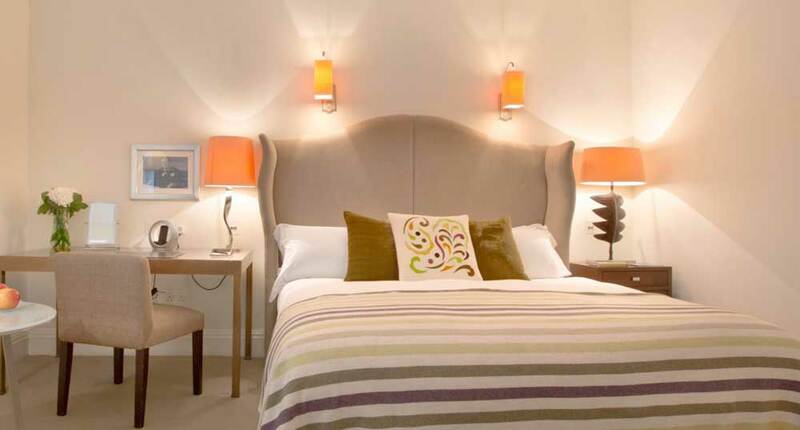 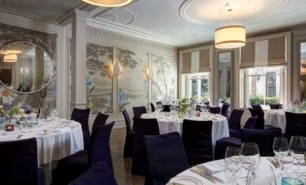 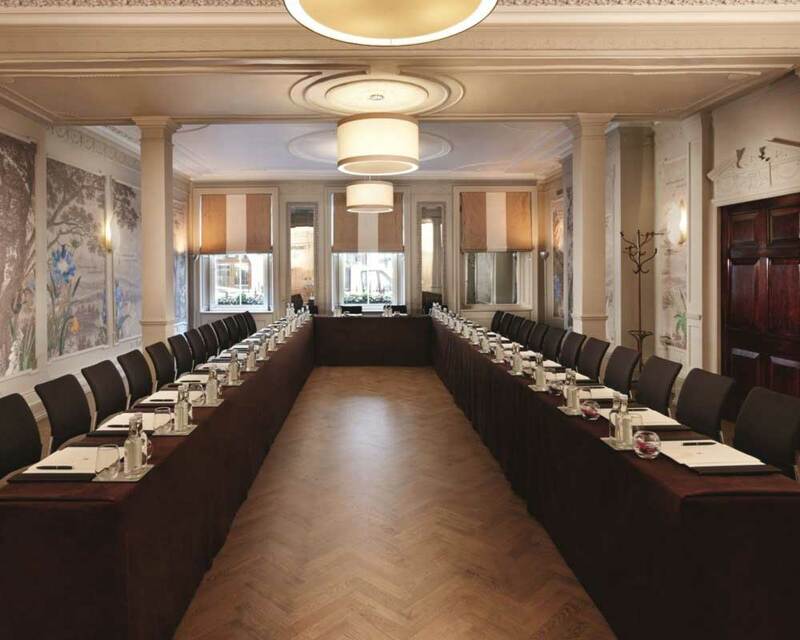 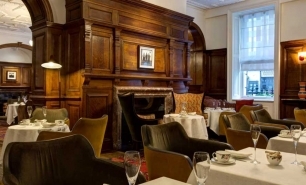 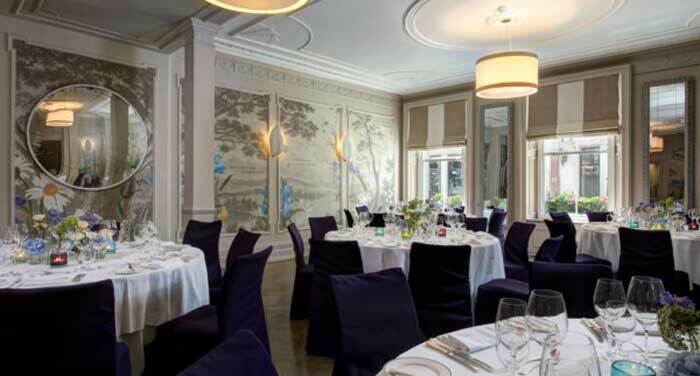 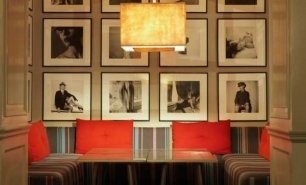 Art tours are also available from the hotel, which include a lunch at the Hix Mayfair.